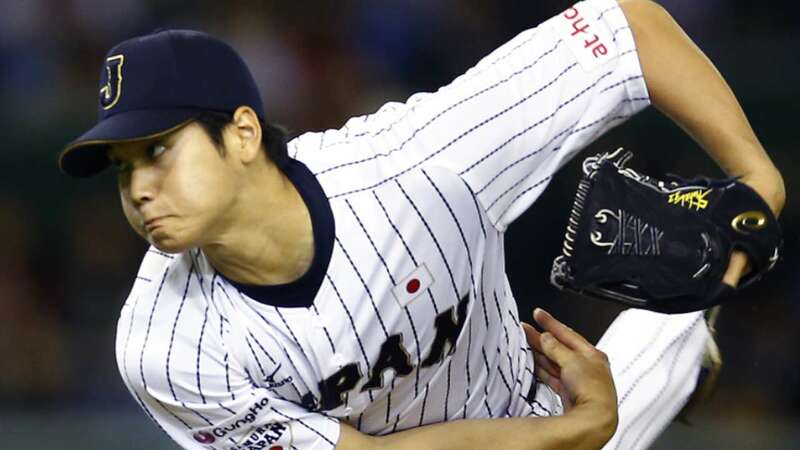 The Inside Track on Ohtani? February thinking in October, Dept. Earlier this year, a National League general manager tasked a few trusted employees with a secret mission: Find out everything you can about Shohei Otani. One of the employees came back a few days later with some sparse details but a useful nugget of information: If Otani really does bring his 102-mph fastball and powerful bat to Major League Baseball from Japan during the upcoming winter, he wants to play for a big-market team with a large Japanese population. A few days after that, another of the employees delivered what he thought was some solid dope: When Otani does reach the major leagues, he really would love to head to a small market, blend in and avoid any more distractions than the ones inherent in his arrival. The contradiction between "large market" and "small market" is smile-inducing but --- > is easy enough to reconcile if you think in terms of teams that can (1) win the pennant, as opposed to teams like Oakland, and that (2) are not Bright Lights Big City situations (such as Boston and NYY) that expect nothing less than deity-level performance from their Irabus and Ohtanis. The other parts, the large Japanese population, the blend in, the ability to play baseball and then shop at an Uwajimaya on the way home, was just the kind of thing we heard from Kenji Johjima before he came to the states. Here is an 11-K performance against Korea, featuring the high-90s fastball and the overhand curve. The heater has late legs and the curve locks folks up. Give him the keys to the city and go out and resign Ichiro. Reminds me of Kerry Wood. That's not a good thing, BTW. He will be nuclear awesome until his arm explodes like a cheap party-favor. But this speculation is, IMHO, reeeaaaaaaallly reaching. Two scouts go and try to figure out what Ohtani wants and come back with two completely contradictory answers. That means we know zero. My guess is that he wants a big market team that is NOT NYY/BOS/LAD...somewhere big, but not so big that he is blown away by all the attention and demands and cultural confusion. That isn't necessarily Seattle though. Could just as easily be the Nationals or Orioles, the Astros, the Rockies, Diamondbacks, Marlins, Braves, or Cardinals. And it's only a guess. There's a 90% chance I'm wrong. The 'Japanese population' bit is solid, though. And it conforms to what we've already learned of Japanese players' initial arrivals to the USA: they appear to prefer the 'safety net' of common culture in their (first) home town. Obviously Seattle has benefited from this, as has LA (and NY & Boston) but if there's *any* truth to the 'doesn't want bright lights' bit then NY, Boston, and LA are lower tier. Still, it's got to be something being wined and dined by the runners of those clubs. Could sway just about anyone.